Thanks for a Successful Cultural Banquet! Thank you to the 270 HCHS students, faculty, administrators and family members who attended the Fall Cultural Banquet on Saturday, November 10, exceeding attendance expectations. The excitement reached high points too, with the attendance of City Comptroller John Liu and City Councilman Peter Koo, a magic performance, raffle drawings and a live auction of a replica of a scroll written by Sun Yat-Sen, the father of modern China. 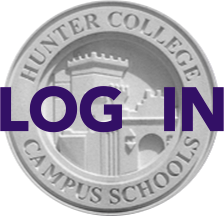 Most meaningful, as noted by Principal Tony Fisher, was the coming together of all parts of the Hunter Community to celebrate its many facets, especially after the disaster of the Hurricane. Hats off to CAPA for organizing the banquet. Anyone interested in working on next fall's cultural event, please email events@hunterpta.org, as we hope to begin the planning soon and are open to all ideas!